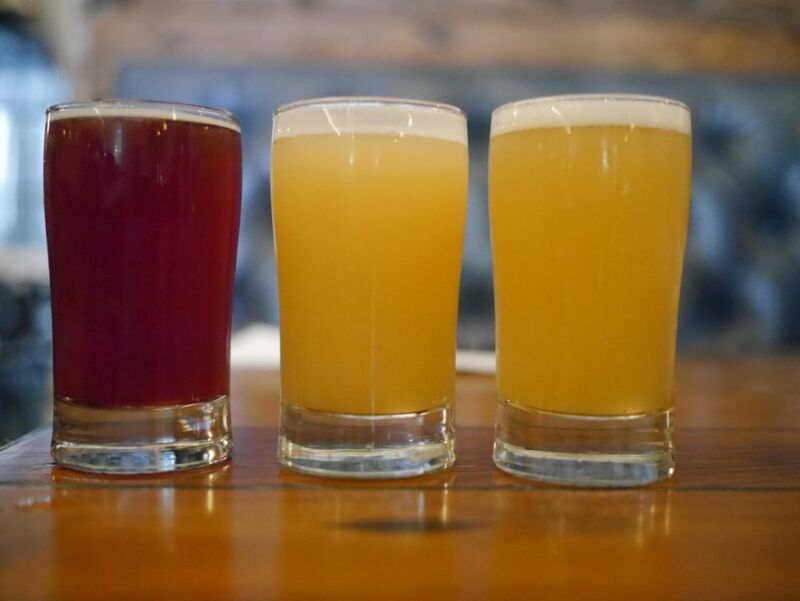 Crane made its name with a Berliner Weisse brewed with beets and since then they serve a number of different lacto-fermented sours, either Berliner Weisse or Gose showcasing various fruits. 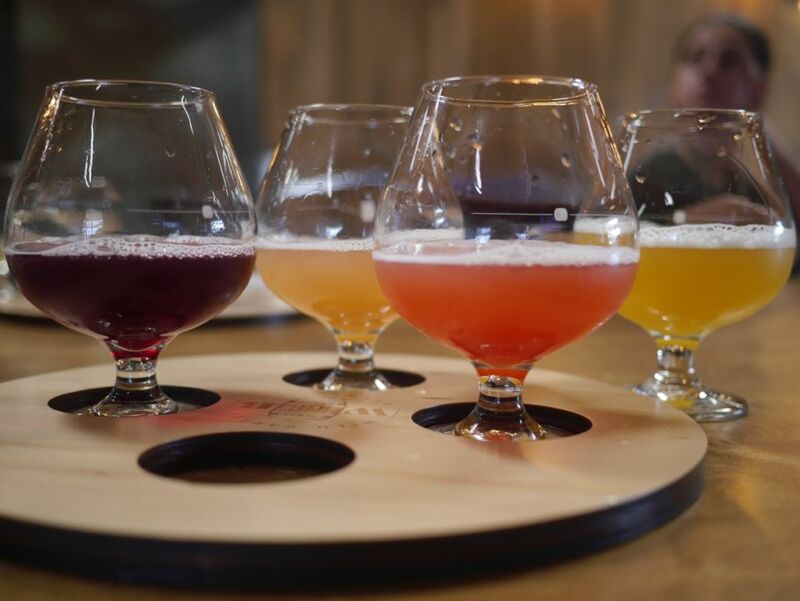 I came for the sours and would suggest that you do too, provided you can stomach the intense tartness that comes from a lot of lacto-sour character. Though they appear to be a far distance from downtown Kansas City on a map, it isn’t that much of a drive and they are near most of the big BBQ spots. I started my tasting flight with the farmhouse IPA. It was bitter and resinous with notes of grapefruit and a light-malt base. The trailsmith farmhouse ale had strong ester and alcohol notes with flavors resembling dry white-wine. I didn’t care for this one myself. The azaca session farmhouse was crisp and dry with strong herbal hop notes and a bitter finish. I don’t care for azaca much and on its own the herbal notes were too much for me. Both the azaca session and farmhouse IPA were on the bitter side, a bit more than I am used to these days. The apricot weiss had intense lacto-tartness with some prominent apricot notes that balanced it out. The orange gose was tart and puckering with notes of lemon, bitter orange-peel and reminded me of a lemon-drop candy. I didn’t care for this one as much. 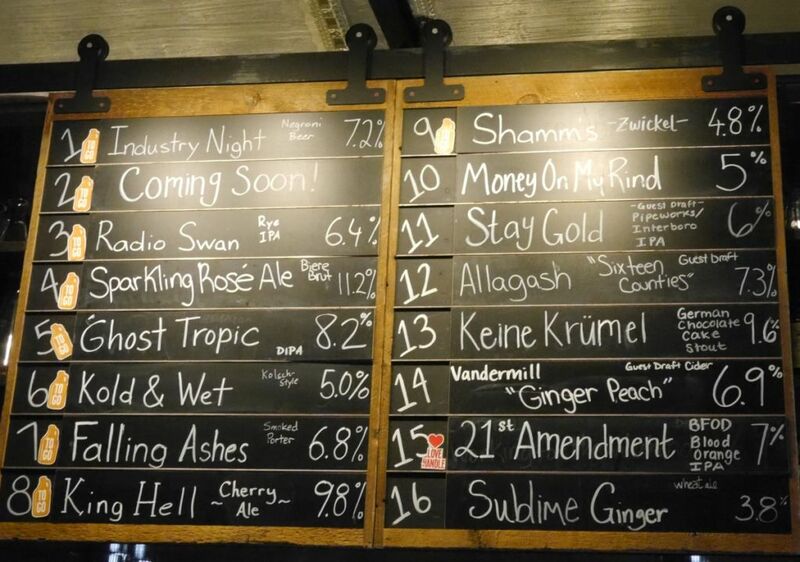 The kumquat weiss was the most tart of the bunch with tons of citrus character. The tea weiss had fruity notes resembling berries from the tea and a nice balance of tartness. I left with crowlers of the tea weiss, kumquat weiss, and apricot weiss. Though I enjoyed them on a flight I have a hard time drinking more than a pint of either of them with the intense acidity they present. Crane is the only brewery in my visit that had any sours besides a couple at Boulevard. Though I generally prefer barrel-aged sours, there is something about the intense lacto-tartness in their beers that I enjoy. 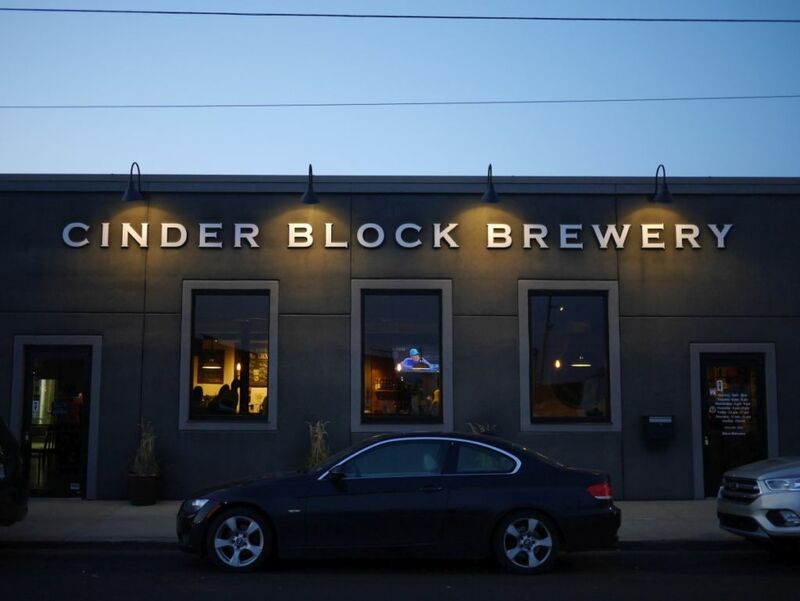 I won’t be too harsh in my review of Cinder Block because I heard they tend to have some delicious sours or barrel aged beers and when I visited they only had a few of their core beers available. The pale ale was balanced and lightly bitter with notes of citrus and pine. The porter was smooth and roasty with a bitter chocolate finish. The IPA was soft and mildly bitter with notes of tropical fruit and lychee. The three beers I tasted were all done well but didn’t blow me away. 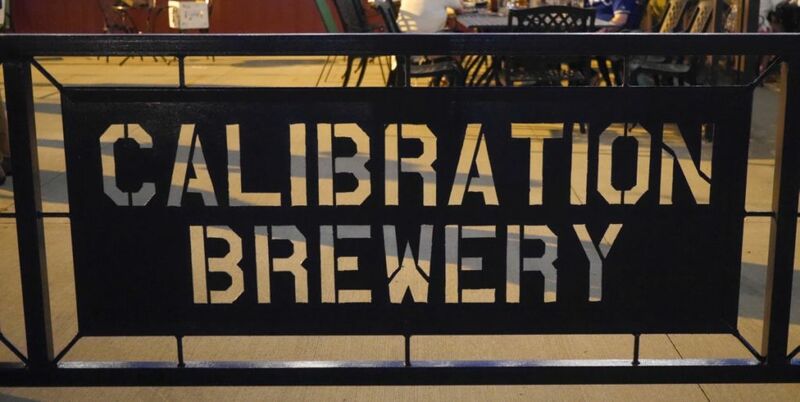 Because I only had a few tasters, I ended up nearby at Calibration next. I almost skipped calibration but I would not recommend you skip it. 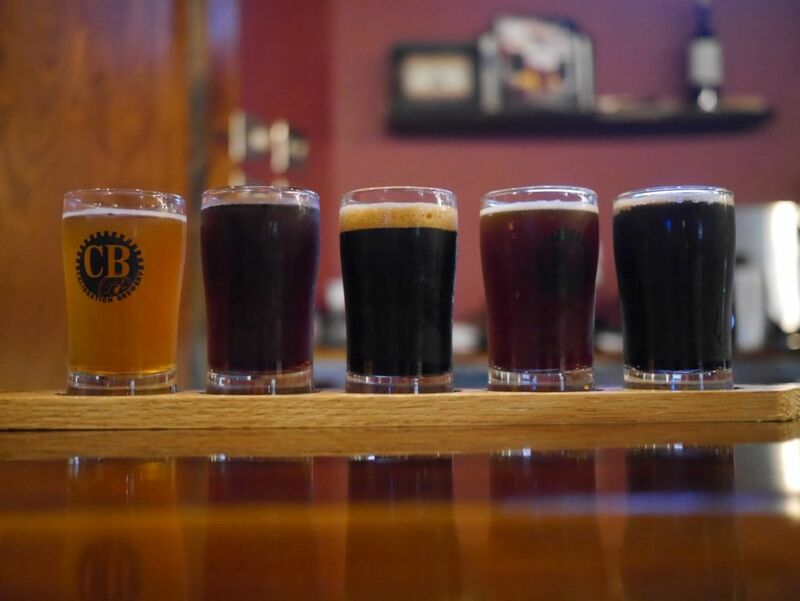 I was impressed by the various beers I had when I visited. The IPA had a nice caramel malt base with a mild bitterness and notes of citrus and floral hops. The black IPA was roasty and bitter with hops more for bitterness than aroma. I enjoyed how it didn’t try to showcase aroma because it works nicely with the style. The bartleywine was delicious with no bitterness and flavors of caramel, toffee, and light cherry. The beer hid its alcohol really nicely and had a solid sweetness. The coconut brown was smooth with notes of caramel and mild coconut. The flavors were all quite subtle. The coffee porter was a delicious mix of notes of marshmallow and caramel and light coffee on the finish. There is something about the quality of the malt character in all the beers I tried at calibration that was very impressive and made it stick out. Sadly they didn’t have bottles of the barleywine for me to bring home. Wild Barrel Brewing surprised me as I hadn’t heard a ton about the brewery until a short time before opening. With a brewer who used to work at stone and a keen eye for what the market wants, they launched out the gate with some IPAs, massively fruity kettle sours, and a coffee stout with barrel aged stuff to come in time. You can tell when you walk in that they spent a lot of time on the layout of the space including their choice for the acoustics because it doesn’t get as loud as many breweries do when crowded. Wild Barrel serves tasters in larger glass to give room for aromas to come through. In the crowded San Diego brewery scene this is fairly uncommon but always welcomed. 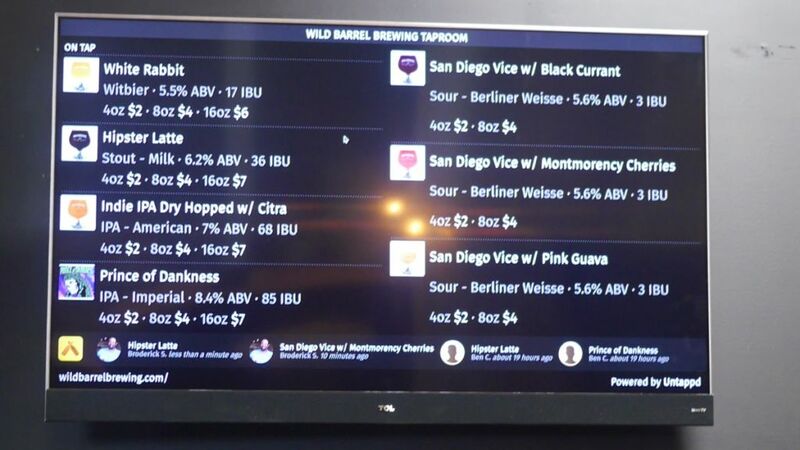 I was not really that excited when I saw three fruited Berliner Weiss style beers on the board (called here San Diego Vice) but was soon glad i tried them. San Diego breweries regularly make fruited versions of this style but often with minimal amounts of fruit. Not so here. All 3 of them, cherry, blackcurrent, and guava were massively fruity with a light tart bite on the back. These may be the most fruit flavor I’ve had in any beer of this style, surpassing my previous favorite at Georgia based Creature Comforts. If their crowlers were available I might have left with a couple of crowlers. It is hard to pick a favorite of the three because they were all so delicious. The two IPAs available were both in the modern style though staying away from the thick hazy style so far. The single IPA was nice and citrus forward with a light bitterness and a dry finish. The double IPA was a bit more dank and resinous with a slightly thicker body and still not a ton of bitterness. The IPAs remind me of the style brewed at Protector in many ways. The coffee stout had notes of popcorn and coffee on the nose with a fairly thin body and a nice mix of light roast, smoke, and coffee notes. I found the coffee to be a bit more subdued than I tend to enjoy but it is a nice balanced beer. I am looking forward to see how Wild Barrel develops over the coming months and expect I will be back again regularly to see what flavors of San Diego Vice come up next. They have excited me about a style that has generally been enjoyable but not particularly exciting for me before now. Half Acre is more established than the other two breweries I visited for IPAs. Their beers have a bit more of a classic feel than the others. Daisy cutter is one of their core offerings and it is a classic pale ale with prominent citrus and a crisp finish with a light malt base. Space was slightly hazy with a caramel malt base with light notes of coffee and mild bitterness. Though a bit hazy this is fairly traditional English style. Pony pilsner was excellent with light fruity character, biscuit malt base, and a crisp clean finish. I brought home some cans of this one. Daisy Toronado is a more modern take on daisy cutter with tons of juicy hop character at the front and light onion hop character at the base. Vallejo IPA had an interesting mix of note of grape and plum that I don’t usually get in an IPA. I didn’t really care for the hop profile of this one. Half Acre is a bit more classic in approach than many other breweries in the area for the hoppy beers. They also have a young sour program that is getting some acclaim. I got a small taste of one of their sours and it was quite complex and delicious. I am excited to open the bottle I brought home with me. 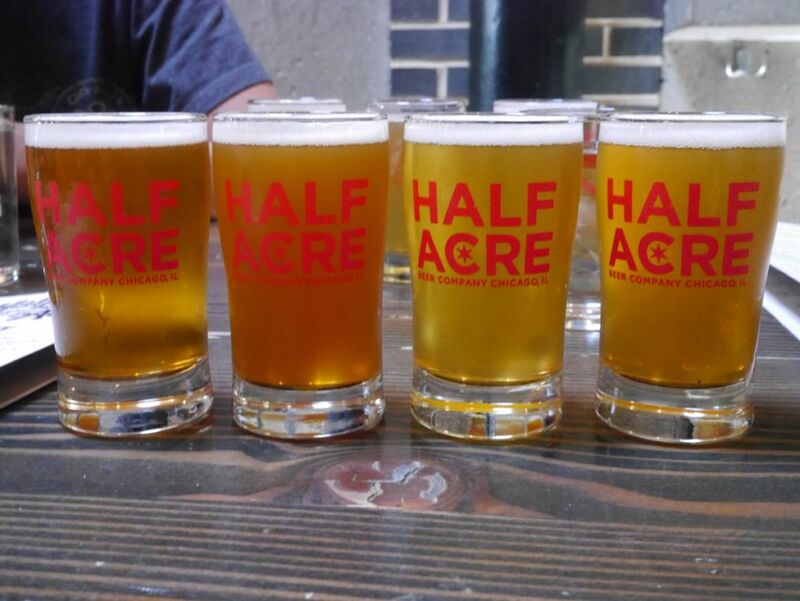 Half Acre is known for their pale ales and IPAs though they also have a young sour program that is worth checking out. 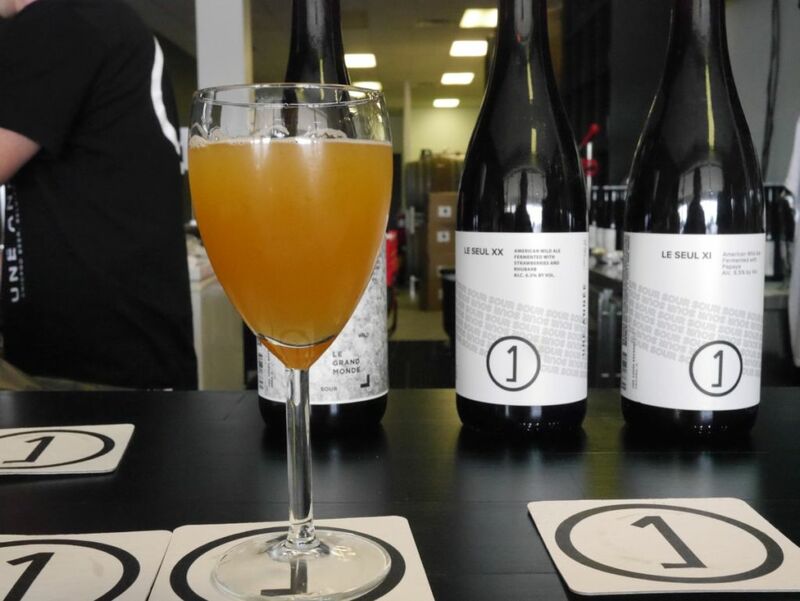 Un Annee is known for its barrel aged and fruited sours as well as their hazy IPAs and imperial stouts that they put under a different brand. They are located in a strip mall so that before you enter you may wonder if this is really a brewery. Once you step inside you get the feel of a standard tasting room. 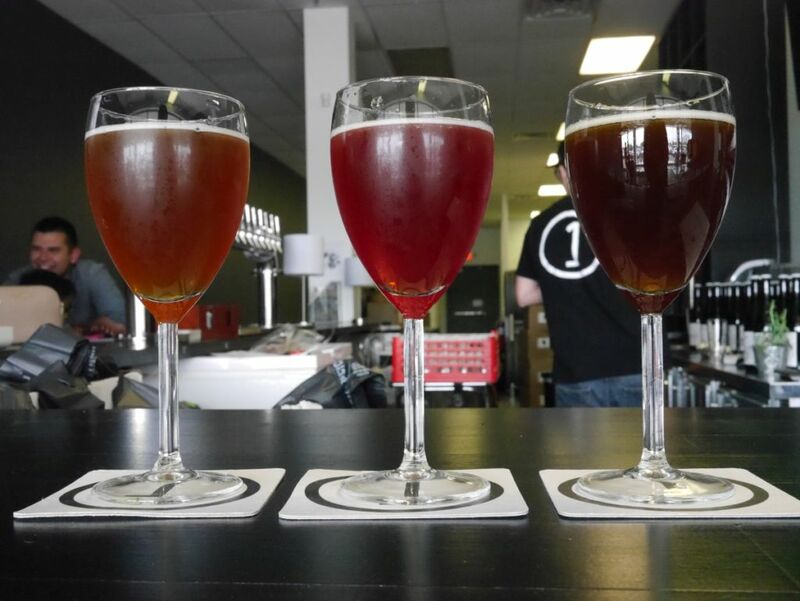 They are also a long drive out of town and best to visit only if you have a strong preference for sours. I started with their sours and then tried a few of their other beers. With so many on tap I asked the server to pick three of his favorites to start, which got me a few of their bigger barrel aged sours. My first 3 tasters of various sours. Le Grand Monde 7 had a nice mild oak base and a great balance of cucumber, mint, and other flavors that I rarely experience in a sour without too much acidity. I paired this with some grilled fish from a Filipino restaurant we got to bring to the brewery and it was delightful. Le Grande Monde 4 had such an intense hibiscus character that it was jammy and a highly acidic base. An enjoyable beer. Le Grande Monde 2, a flanders red style sour had good caramel notes with hints of molasses and tons of acidity. The elderberry Le Seul VI was jammy and mildly sweet with light acidity. Overall the sours I tasted were quite impressive and I left with a few bottles to take home. 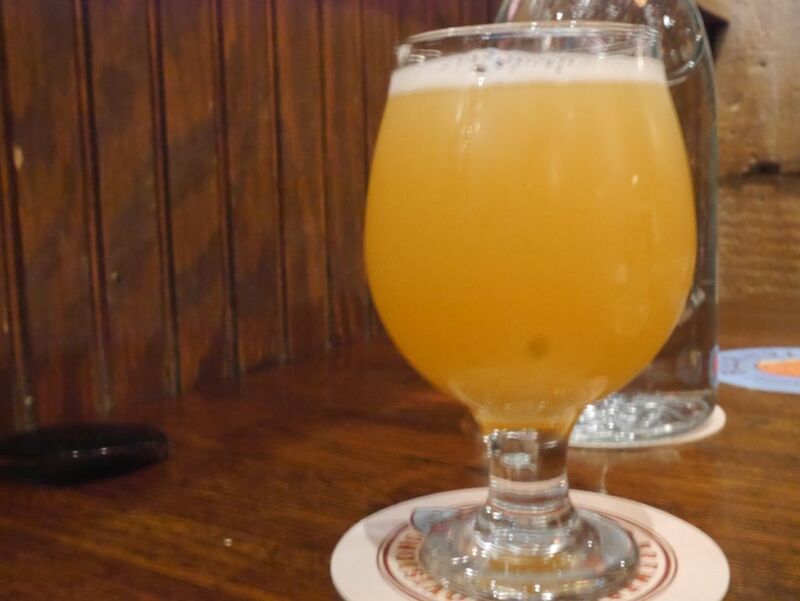 Their hazy IPA, Hubbard’s Cave, was soft and creamy with light pine and herbal character with mild bitterness. It had notes of candied mango and peach as it warmed up. Though it could have been softer, it was an impressive hazy IPA and should satisfy any hop heads dragged there by sour fans. This shows the wide variety of beers they had available to go when I visited. 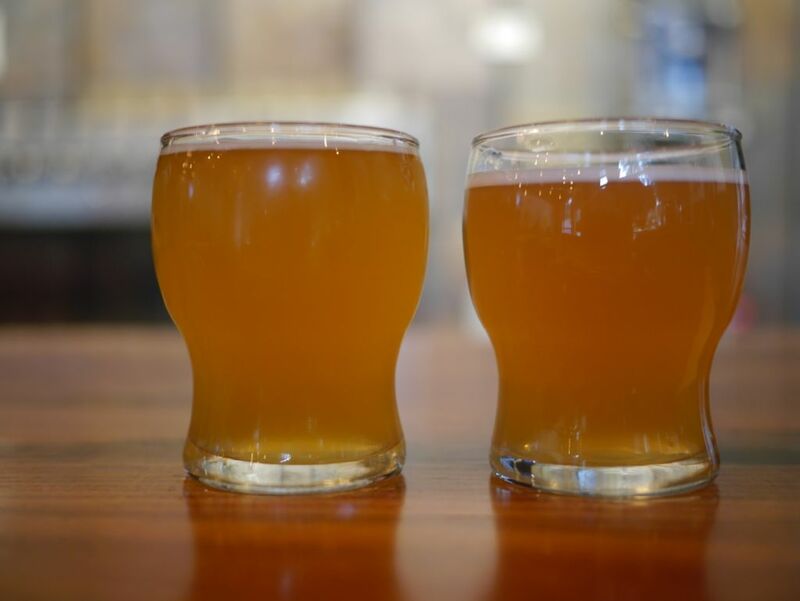 Un Annee focuses on sours but also has stouts and hazy IPAs available. The bottles range from $13-25 for a 750ml bottle, which is within the norm. 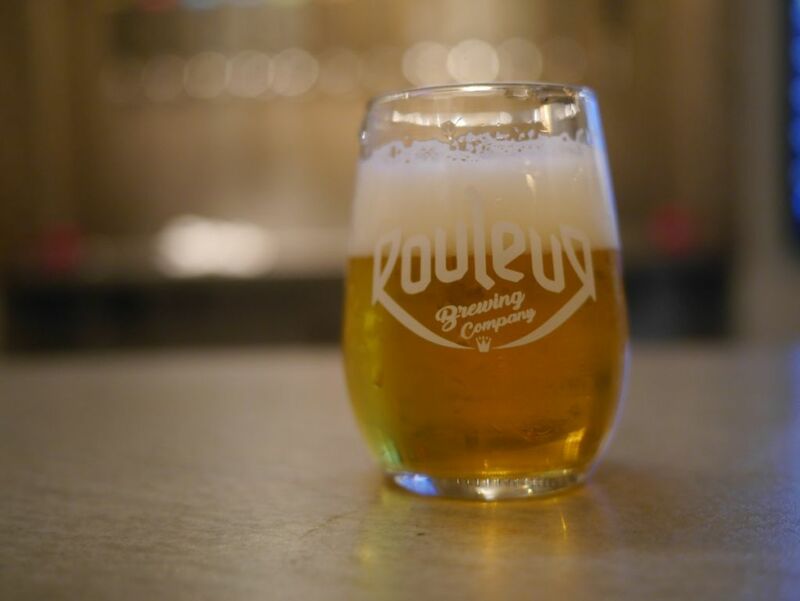 Rouleur is one of two breweries in the brewery igniter space in Carlsbad fairly close to Arcana Brewing and Culver Brewing. Sadly their neighbor, Wiseguy Brewing, closed abruptly. 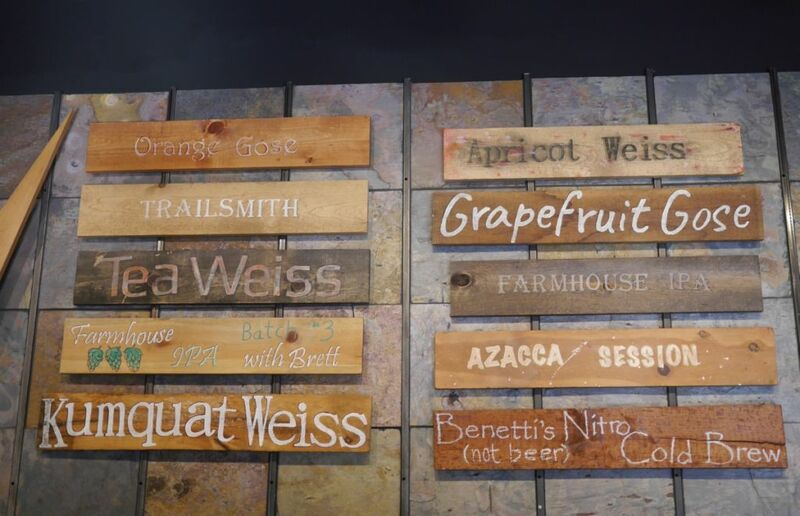 I initially visited while I was trying beers at Wiseguy but since I didn’t try very many beers that time I returned for a second visit recently. 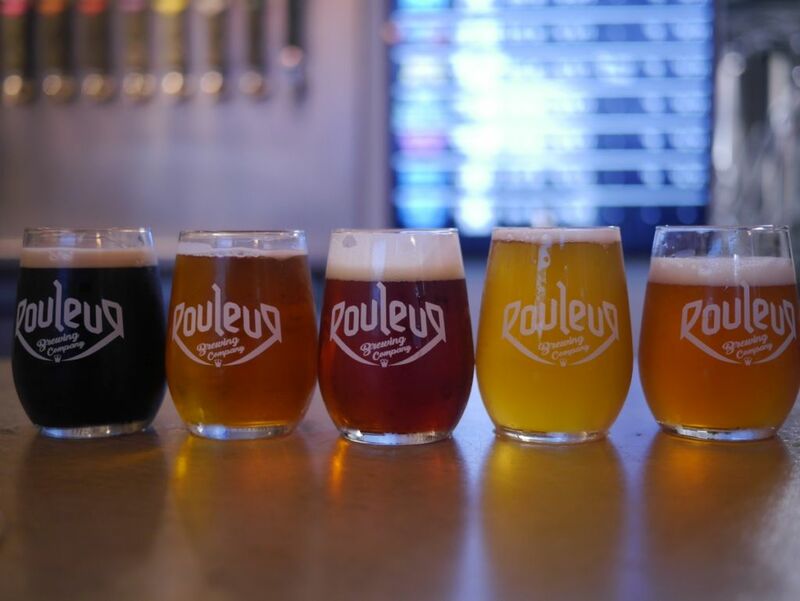 Overall Rouleur is a solid brewery and should make for a fun stop for people in the area. I only had three beers at Rouleur in my first visit because I had just finished 8 tasters next door. 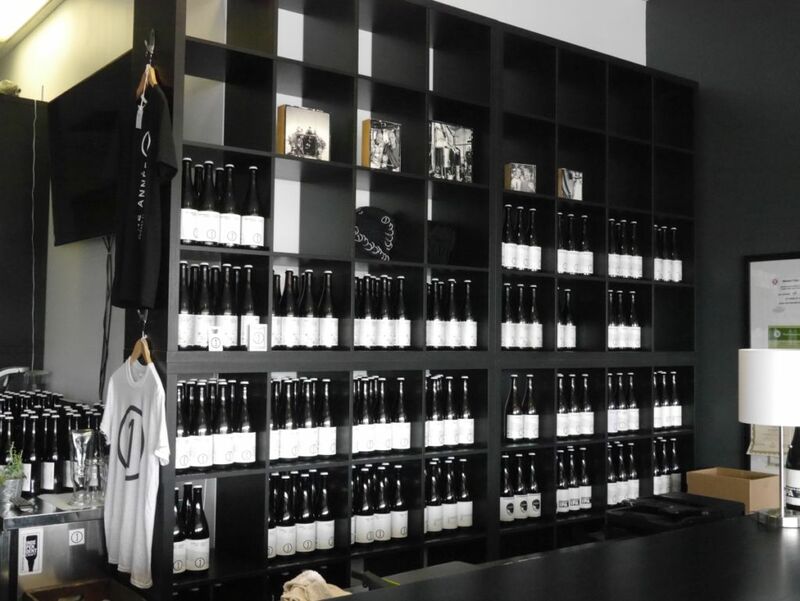 Rouleur has a nice small tasting room and a wide number of beer options. I focused on their Dopeur hazy IPA though it wasn’t to me particularly juicy or hazy. The beer was strong with herbal character and had very little tropical fruit or citrus that would make a beer juicy. It was also a bit too bitter for the style. My server indicated that it is normally less bitter and that they were having some issues with the yeast. As indicated below, the brew is no longer as intensely bitter as I experienced initially and they have updated the description and now simply call it a juicy IPA. The saison was fairly standard with notes of white wine, citrus, and white cake, nicely balanced. 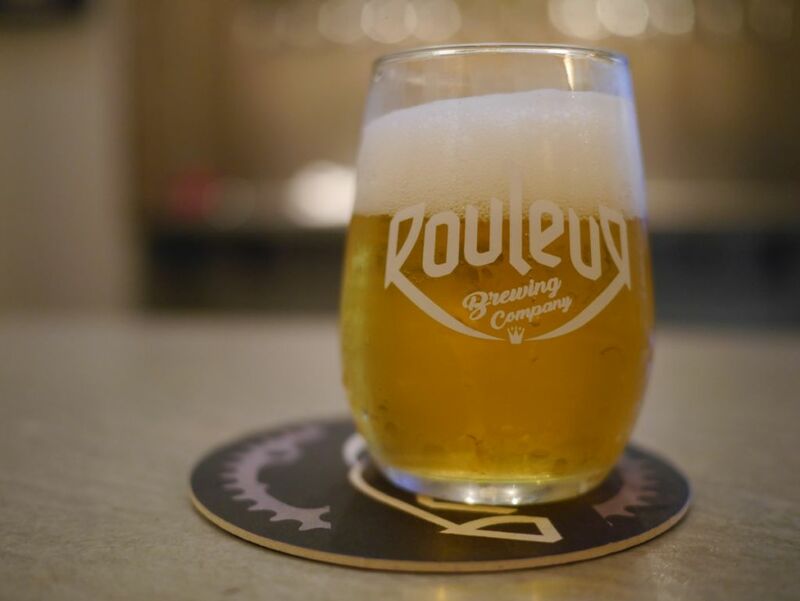 The Bonkeur Pale had notes of peach and grapefruit with much more juicy nose and flavor than the Dopeur. All 3 beers were light in color and clear. 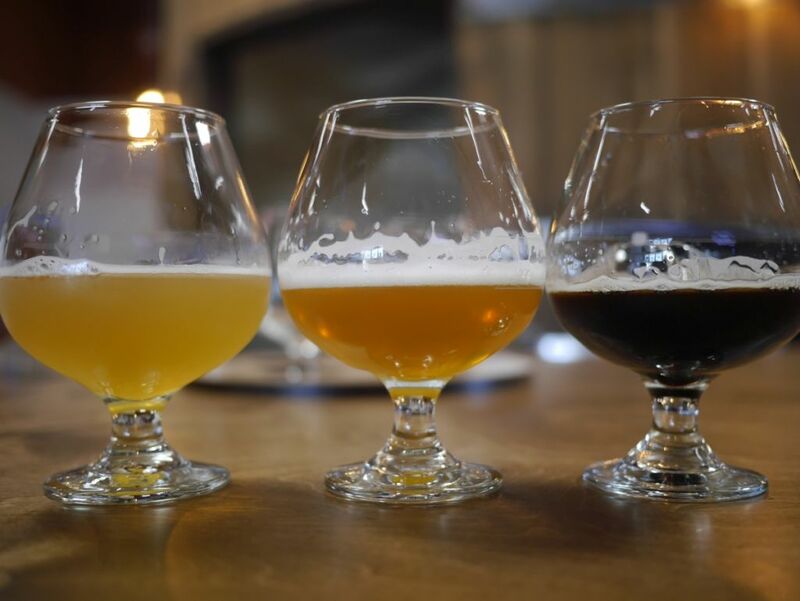 I enjoyed the three beers at Roleur and was especially glad to see that they intentionally do 4oz pours in their 5oz glasses to leave room for head and aroma. 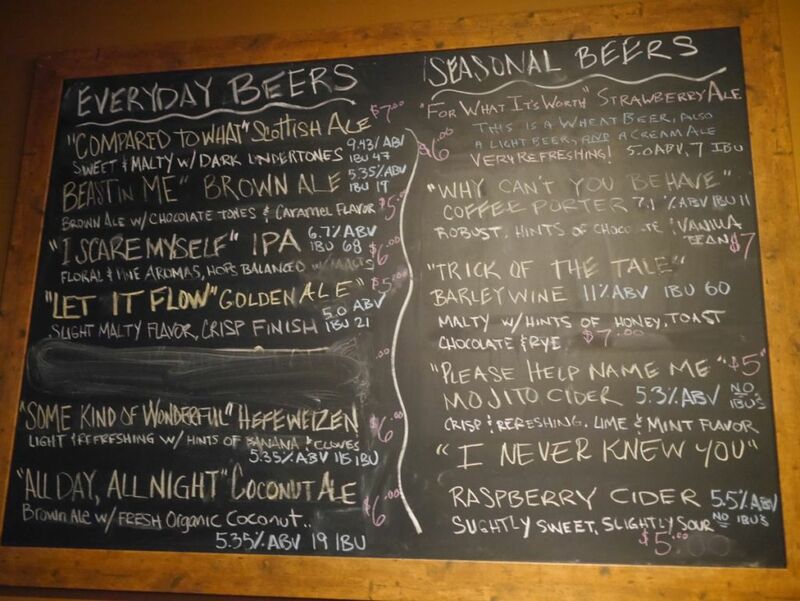 They brew hoppy beers closer to the local trends than Wiseguy next door and have the dry-hop techniques down as well. I returned to Rouleur after their neighbor Wiseguy closed to give them a more in depth try. I gave the Dopeur another try to see if it was any different now that they had released it in cans. The bitterness that put me off before was now gone though the beer still tended towards herbal hop flavors with some mild fruit to balance it out. It is a tasty IPA for sure but not my preferred flavor profile. The blackberry blonde was subtle with light berry character that balanced nicely with the fruity base beer. It had a clean dry finish but after the intense fruit I had at wild barrel it didn’t grab me that much. The red ale was nice and balanced with notes of biscuit and dark fruit and some subtle hop character. This was one of my favorites of the day and a refreshing take on the style that I normally don’t care for. The dark ale on nitro was a bit drier than I prefer with notes of cherry and roast but overall very subtle malt flavors. I would have preferred more punch to it. The double IPA was strongly malty with notes of pine and resin, a medium bitterness, and notes of black tea when it warms up. Though I wouldn’t characterize it as a malt bomb, it was still more malty than I prefer. 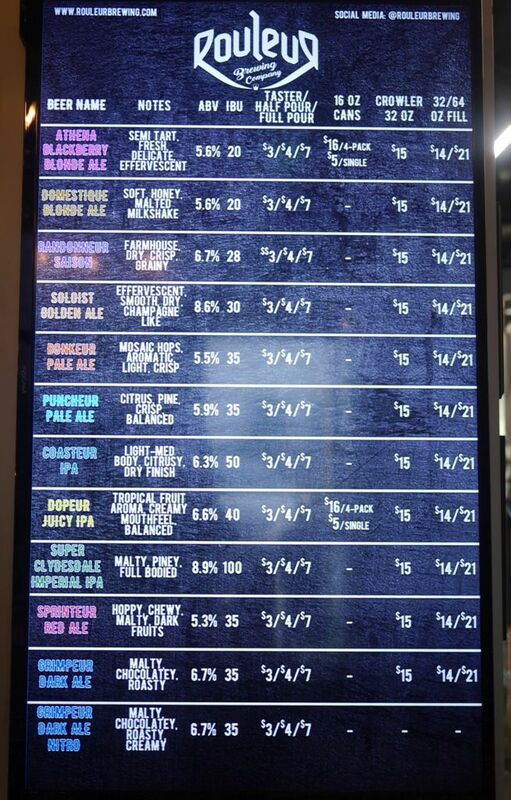 To their credit they do note on the board that this is a more malty double IPA. 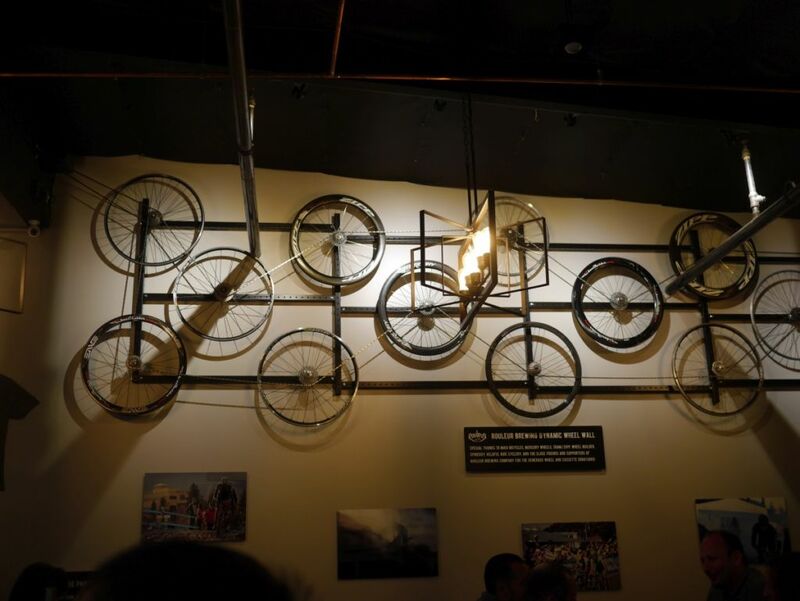 Their cycling theme is furthered by this crazy display. On a Sunday in mid-August 2017 I visited four Chicago area breweries. I focused on some that were more highly recommended than others. My first post in the series will focus on Forbidden Root and Corridor while the next post will feature Half Acre and Un Annee. Both Forbidden Root and Corridor serve brunch and Corridor was quite crowded when I visited fairly early on a Sunday. Forbidden Root was my first visit of the day and one of the most impressive in the IPA front. 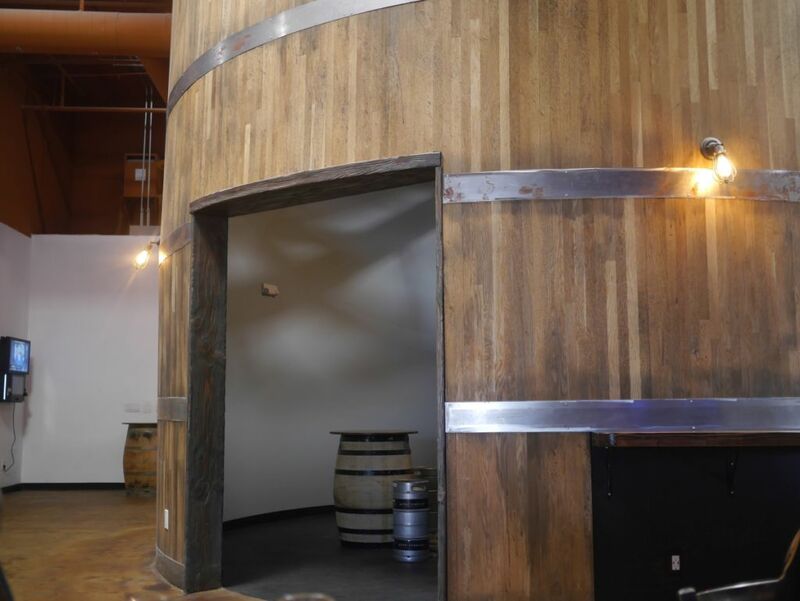 When you walk in to their brewery restaurant space it is striking how beautiful the decor is. 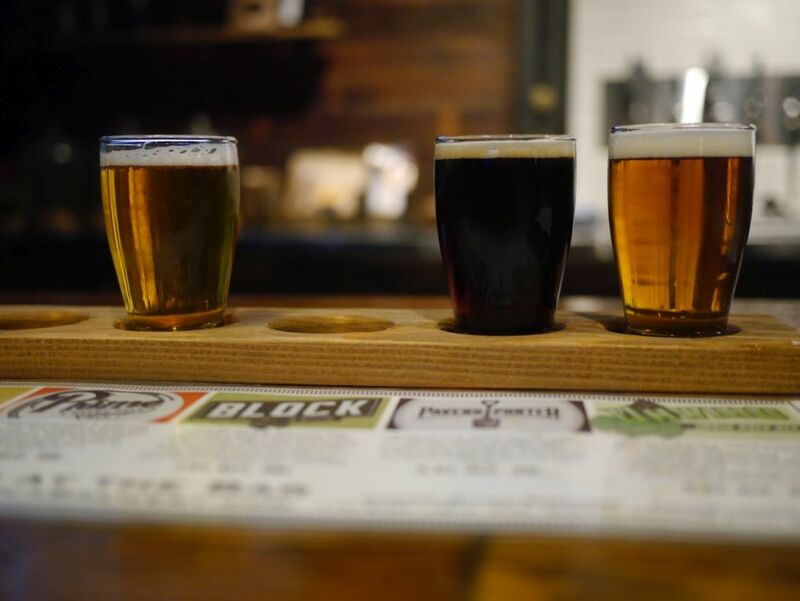 They focus heavily on beers with botanical ingredients added. I didn’t try many of those but their hazy IPAs were fantastic and I immediately see why the releases sell out as fast as they do. I only had four tasters when I visited. Radio Swan IPA is their hazy rye IPA. It was soft and creamy with a hazy yellow appearance. The beer has notes of peach and mango with a light grassy finish. I was very impressed with this and wish they had cans available. If I was to do the day over again I would have ordered more of this beer before leaving. The Ghost Tropic IIPA was a bit thicker giving it a milkshake quality. It was creamy and thick with notes of melon and peach with mild alcohol notes on the finish and minimal acidity. If I hadn’t had Radio Swan in the same visit I would have been very impressed by Ghost Tropic. Though ghost tropic didn’t have the super soft mouthfeel that makes Monkish so popular. The King Hell cherry beer had tons of jammy cherry character combined combined with tons of winter spices and light caramel that reminded me of a Christmas beer. It wasn’t for me. The imperial stout had some light coconut and vanilla notes with tons of dark cherry and spices. In this one as well the holiday spices seemed a bit too prominent for my tastes and I would have preferred a bit less cherry malt notes, though it was well done. 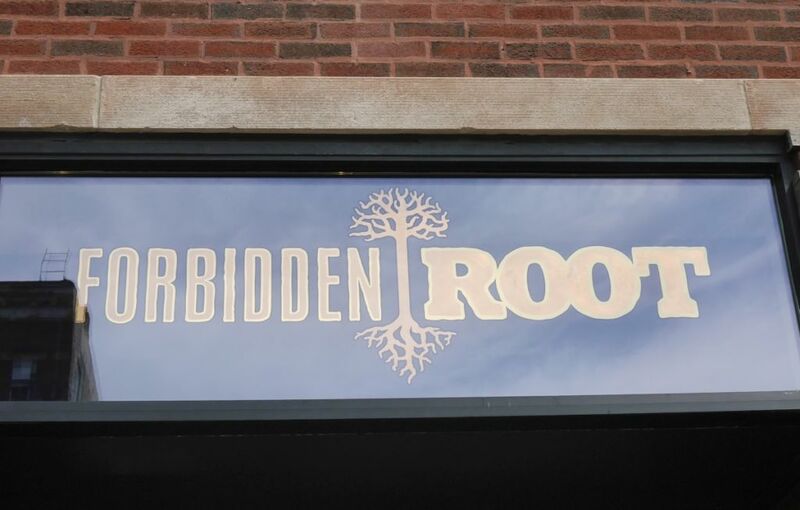 Forbidden Root is a restaurant as well and has a solid menu. They do limited can releases that sell out fairly quickly. They also offer growler fills of most of their beers that they fill using a counter pressure system that keeps the growlers fresher longer. 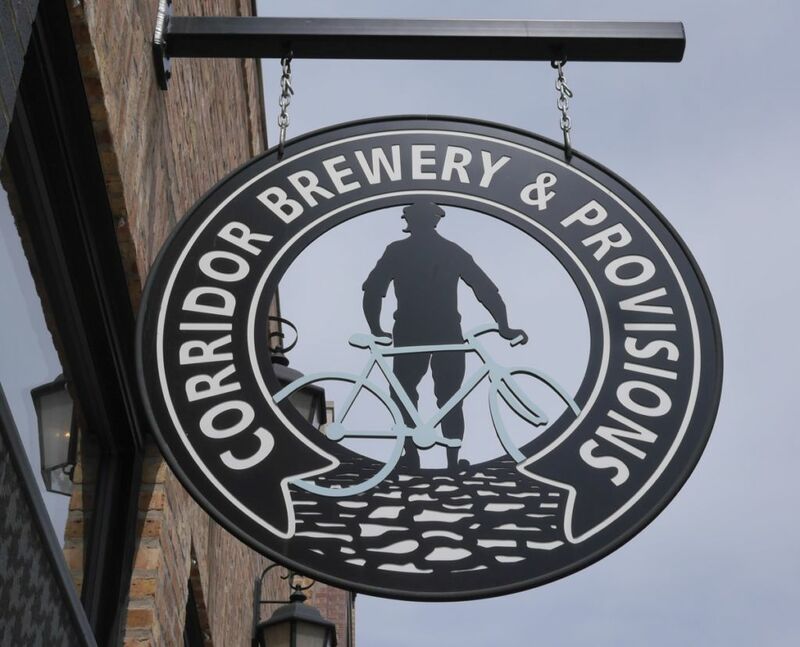 Corridor is one of the other breweries popular for hazy IPAs in Chicago. They are also a restaurant like Forbidden Root and in their case you can’t order taster size unless you get one of their pre-designed flights. This meant I only tried two beers because I had to order either 10 or 16oz pours. The Pulp Hogan was the only hazy beer I got to try, and at 5% it is a bit lighter than I generally prefer for a hazy beer. Pulp hogan had notes of pine and candied fruit with a mild bitterness. It was lacking in both the soft mouthfeel and intense hop character I expect from the style. This is also quite common with lower alcohol hazy beers even from the bigger breweries so it may be more my preferences than bad beer. Their year round IPA was an excellent modern west-coast style IPA with fruit notes and pine, tons of hop character, and a mild bitterness. 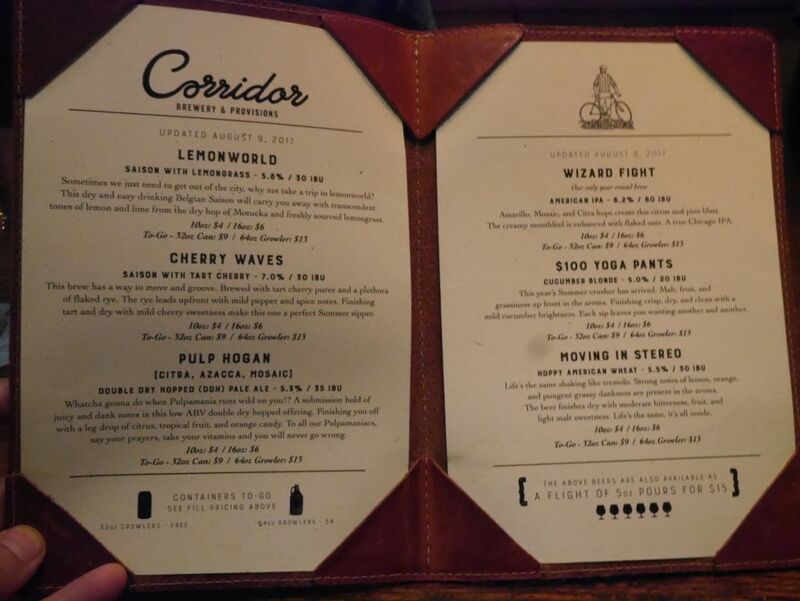 In my limited tastes I preferred Forbidden Root to Corridor but both are worth visiting for IPAs. Corridor has the benefit of offering crowelrs to go as well.